They thought I was an ajumma for sure because there are so many folders named as ‘ajumma’. Thanks for his kindness, I could catch that elevator but I felt awkward. 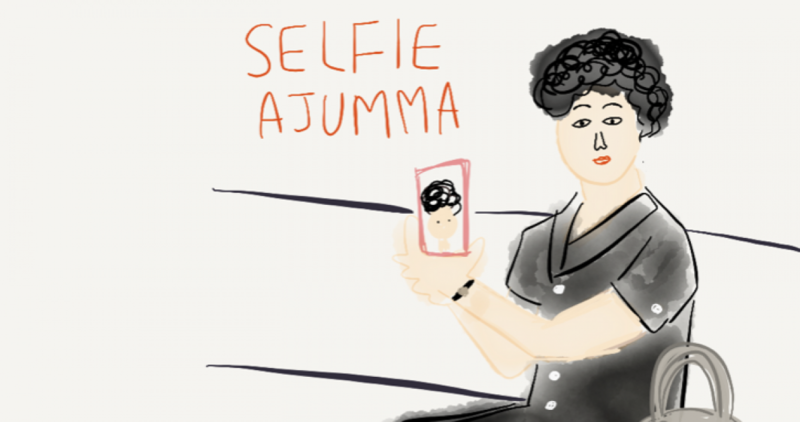 I know I research about ajummas and I really admire them in many ways but when I was called as an ajumma by someone, I felt strange. I reckon maybe I still have prejudice about ajummas? I still think being recognised as an ajumma is unwelcome thing? Why did I feel strange? Posted on 27 Dec 2015 by moon ajummaPosted in Smart Ajumma (English)Tagged ajumma, 아줌마, Korea, Korean women, middle aged women. Previous Previous post: 아줌마 아니예요! Next Next post: 아줌마가 돌아왔다?